Everyone who frequently travels along the South African road network will understand the importance of road freight. The men and women transporting freight and all types of cargo are the people keeping our economy moving. Most would have seen the yellow RTMS logo at the front of many trucks – but not everyone understands what this RTMS logo means and the significant impact it has on the lives of all road users! 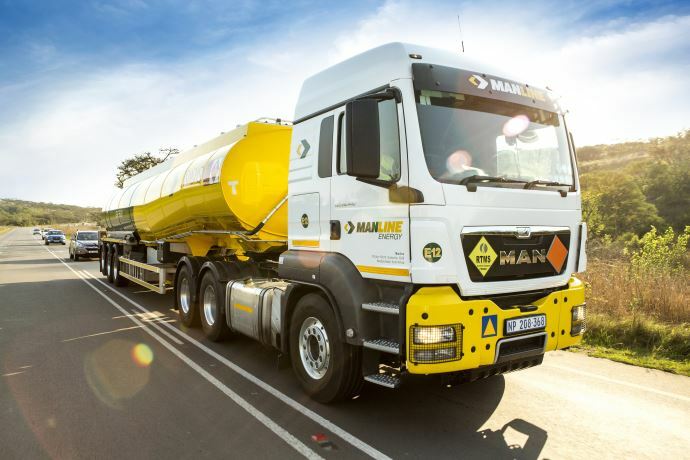 We approached Barloworld Logistics Spokesperson Adrian van Tonder [General Manager Technical] to gain some important insights on RTMS and especially the effect it has on road safety and sharing the roads with trucks safely! What has led the industry to implement the RTMS Standard? RTMS (Road Transport Management System) started as the Load Accreditation Programme (LAP) in 2003. 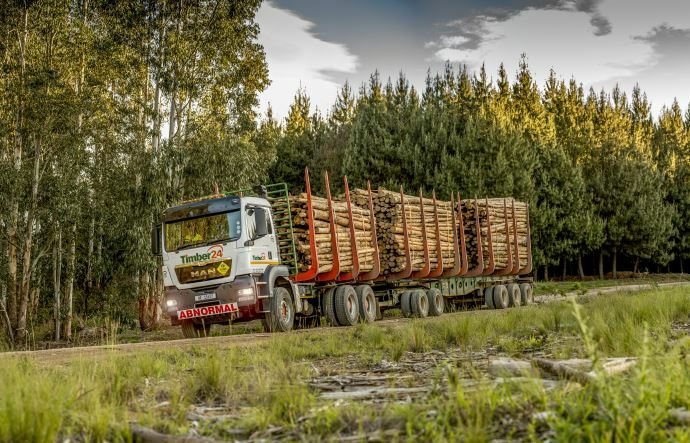 This initiative was driven by the dti/Forestry South Africa to improve driver wellness, vehicle maintenance and address issues associated with, amongst others, overloading within the local timber industry. This project was run by the CSIR (The Council for Scientific and Industrial Research) and Crickmay & Associates. Thanks to the great strides made within the Timber industry, in 2005 the National Steering Committee renamed the programme, with the view of offering RTMS to all transport operators as a voluntary, self-regulatory scheme. Are there International Standards like RTMS that we could learn from or include in RTMS? 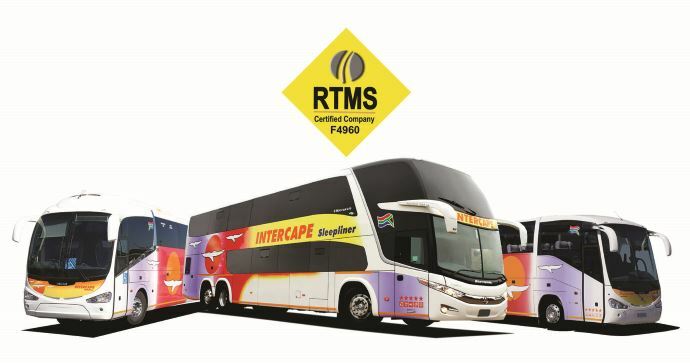 RTMS was the first of its kind in SA. After it was established, ISO39001 for Road Traffic Safety (RTS) management system was launched and we have since ensured that all aspects of the RTMS are aligned to this standard. Has considerable progress been made with RTMS since the date of Inception? Since 2006 RTMS has been promoted through 50 awareness workshops nationwide, and we have seen significant growth. In 2007 there were 74 certified vehicles. Today there are 11000 certified trucks and buses on our roads contributing greatly to the safety of all our citizens. RTMS is a registered NGO. The day-to-day management is the responsibility of the National Steering Committee, made up of representatives from the private sector, National DoT, Provincial Dot, RAF, SANAS, SABS and SANRAL. Our auditors are independent of the RTMS NGO and they are accredited by SANAS under ISO17021 (Accreditation Standard). What could be the biggest “roadblocks” or constraints hampering faster uptake in the transport industry? RTMS is a voluntary, self-regulating scheme, and while it is fully compliant with the Road Traffic Act, is not mandatory for transporters. The biggest challenge lies within creating awareness in the greater industry that a sustainable business is built on the foundation of consistently getting the basics right. How would you respond to some who might state that it could create “bottlenecks” for transport operators? The opposite is true. You are only truly able to manage risks when you understand and prepare for them. By getting the fundamentals, such as the maintenance of vehicles, management of payloads and driver wellness, safety, training right from the start you are better able to manage both bottlenecks, and risk. RTMS is not onerous, it is simply a management system aiding with the compliance to all relevant transport legislation. What are the costs involved? Are there registration fees and how is it calculated? The first step is to purchase the RTMS standard SANS1395 from the SABS. The cost of the audit is determined by the certification body, based on the size and geographic location of the fleet. All costs of the audit need to conform with the guidelines as stipulated in ISO 17021. The cost to the NGO is currently R50 per vehicle per year. This cost will increase to R60 per vehicle per year from March 2018. Where does a transporter apply for certification? What happens after application for certification? After application, the transport company should prepare for the Audit. To determine the level of conformance, a Gap Analysis audit can be conducted, prior to the RTMS Audit in order to identify issues and guide preparation. Once the Audit is complete, findings with be given and will need to be cleared as per the final audit report. An RTMS certification is valid for 3 years, subject to an annual surveillance audit. What are the obligations of the transport operator after the business is certified? The main obligation of the transport operator after certification is to consistently manage the transport activities as per RTMS policy, as well as to quarterly submit key safety details via the RTMS website. What would you describe as a major benefit for a transport operator of RTMS certification? A major benefit of the RTMS certification is that it provides a universal, accredited standard and proof point regarding a transporters conformance to the basics of operating its trucks. This conformance and management of risk are what realises savings for the business. Furthermore, benefits are beginning to be realised from finance houses and insurance companies thanks to the decreased risk-profile created through the conformance to RTMS standards. Do the benefits only focus on standards that have preventative measures to ensure safer transport or are there benefits for the operator when something goes wrong i.e. crash investigation/ analysis etc? The benefits of driver wellness and vehicle maintenance should reduce the number of accidents, however correct preventative maintenance can also reduce operating costs. In our experience, companies that have implemented RTMS have seen, for example, a reduction in fuel consumption as a result of them paying attention to the details. Would there be scope under RTMS for increased knowledge sharing by the participants under RTMS? During the RTMS workshops, case studies are presented by RTMS certified companies, resulting in best practice and learnings being shared in an open forum for implementation by other companies. Do the public know the relevance of the RTMS logo attached to the vehicle? 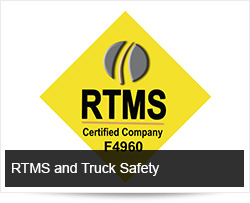 Unfortunately, the only people who would be aware of what the RTMS logo means are those involved in the transport industry who have had exposure to RTMS. At this stage, average motorist is unlikely to understand what RTMS means. This gap has been identified by the National Steering Committee and will be addressed in the future. Is there a minimum requirement in terms of fleet size to apply for RTMS certification? Companies operating a single vehicle may apply for RTMS certification. Could the media assist in creating more awareness about the importance of RTMS for Road Safety? The media can definitely assist. Creating awareness will lead to more transport operators participating in this initiative, ultimately resulting in safer roads for all. Regrettably, our law enforcement officers are only able to monitor a small percentage of vehicles on the road. By complementing their efforts, we strive towards the common goal of making our roads safer and preserving the infrastructure. What do you believe are the most important aspects about RTMS that operators should be made aware of? RTMS is a management system that does not require changes to the current systems used to manage your business. If the systems can be audited it will be acceptable. The RTMS covers all key aspects of running a transport operation and with this certification, in place you can rest assured that the basics are comprehensively covered. How does RTMS address driver wellbeing? The National Road Traffic Act does not specify driving hours and drivers must rely on the Collective Bargaining Council for guidance. How does RTMS deal with driving hours and driver fatigue among certified RTMS members? Currently, RTMS uses the guidelines as stipulated by the National Bargaining Council and Basic Conditions of Employment Act, but these guidelines only cover shift hours. We have intensely focused on the management of hours to ensure that there is evidence of drivers taking breaks during a shift. Currently, there is draft regulation in circulation regarding driving hours and resting which will form part of the National Road Traffic Act. We have ensured that the RTMS requirements are aligned to these draft regulations.